Readers sound off on electric cars, Chevron, and Sanjay Patel. 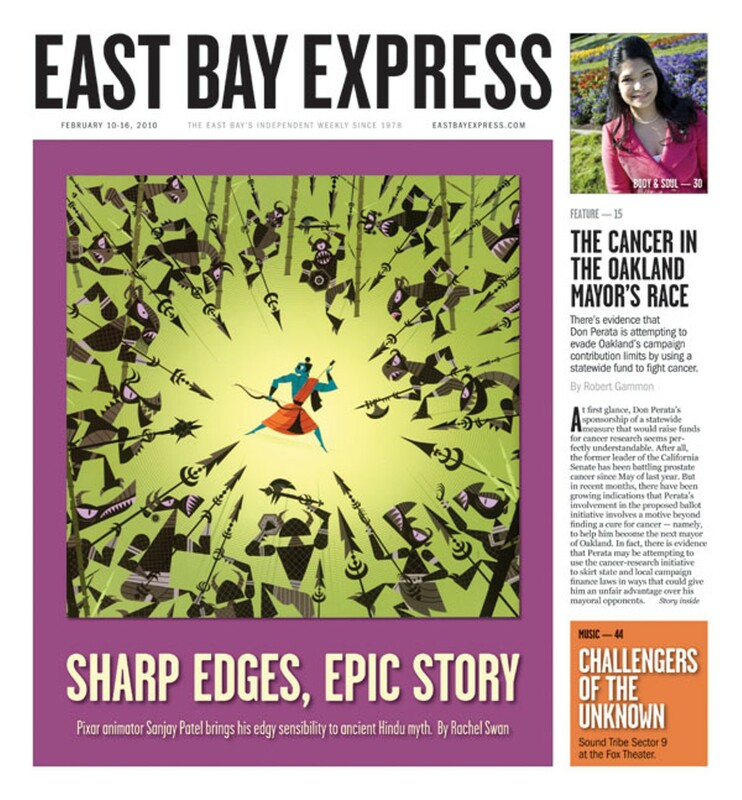 When I saw the cover illustration for Rachel Swan's story about Sanjay Patel, I was ecstatic. "Woo hoo," I thought. "Finally, Samurai Jack comes to the big screen!" I was a bit let down when I found out it wasn't, but it sounds like it will be just as good. As one of the first Berkeley residents to drive a biodiesel car who traded it in for a plug-in hybrid, I feel both are great technologies that help contribute to the solution. For my particular driving habits, I'm able to stay within the all-electric range of my vehicle most of the time, which makes the plug-in hybrid a far superior choice. Electric cars using PG&E to recharge produce 75 percent less greenhouse gas than comparable gasoline cars. This is because PG&E uses very little coal to generate energy and has one of the highest concentrations of renewable generation. In addition, for about $5/month, I participate in the PG&E climate smart program, which means I get truly 100 percent carbon neutral electric "fuel" for my car. If I owned my home, I would use solar panels on my house to achieve the same result. My old biodiesel car was great for reducing petroleum use, but every morning when it started it would spew out a cloud of white smoke and my neighbors could smell me coming from around the block. Most of the time my plug-in hybrid has no tailpipe emissions at all so it doesn't contribute to ground-level ozone or smog or produce fine soot particles that cause lung cancer the way biodiesel and other cars do. While $7,000 might sound expensive for a plug-in hybrid upgrade, today's price for biodiesel is $3.84/gallon. In comparison, I pay only the equivalent of $1.50/gallon for electricity so the cost savings over the lifetime of the vehicle are considerable. If I switched to a time-of-use rate, I could recharge my car at night for the equivalent of as little as $0.60/gallon. Berkeley is fortunate to have a convenient filling station for biodiesel, but the infrastructure for my plug-in car is still much easier to find. I can recharge in the comfort of my own home and while at work without ever needing to make a detour to visit a fueling station. Finally, there is a limited supply of sustainable biodiesel made from used fryer oil available, while PG&E has an excess supply of electricity during the nighttime hours when many people choose to recharge their plug-in cars. Studies show there is enough excess supply at night to fuel millions of plug-in vehicles. Hopefully in the future there will be the option of a biodiesel plug-in hybrid car. Until then, I think each person needs to choose what technology works best for their particular situation. Nate Seltenrich apparently did not understand his own article. Mr. Seltenrich reports that both Chevron and CBE state that Chevron wants to mediate the dispute. Chevron's spokesman says, "we ask that they respect the ongoing court of appeals mediation process." CBE says, "They want to do this really quietly through a court mediation process." So, it's not that Chevron won't mediate, it's that Chevron wants to honor the time-tested and effective process of mediation in a confidential setting with a neutral facilitator, whereas CBE wants to "mediate" publicly, via press releases. This is not a case of Chevron abandoning alternative methods to resolution other than seeking a decision on the merits, it's a case of CBE violating the confidentiality of the court's mediation process to make political points. 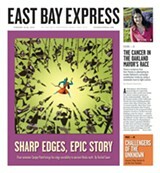 The East Bay Express should be sophisticated enough to understand the difference.